The open borders elite have a new lie they are trying to foist on the American people and all too many in the media are helping them sell it. And this new lie is to claim that the illegal aliens Obama has invited to flood our southern border are “refugees” and deserving of special treatment, including amnesty and ultimately citizenship. 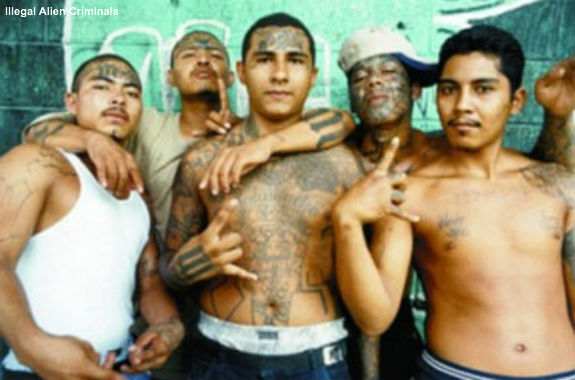 If fleeing a dead job market and gang violence made one a legal refugee, then most of the American citizens living in Detroit, Springfield, MA, or any of the other hundreds of dying communities in the Rust Belt would appear to qualify as “refugees,” and you would think also gain the sympathy of Democrats, such as Menendez, Durbin, Hirono, Gutierrez and Roybal-Allard. While the open borders elites, such as Mark Zuckerberg, Rupert Murdock, Sheldon Adelson and the US Chamber of Commerce promote the idea that illegal immigrants take jobs Americans won’t do the reality is far different. As we have observed on many occasions, and Senator Sessions reiterated in his op-ed, the US graduates approximately twice as many science, technology, engineering and math-trained students each year as there are so-called STEM jobs to fill. “There is a large surplus of unemployed Americans with STEM degrees and yet, per the Economic Policy Institute, ‘the annual inflow of guestworkers amount to one-third to one-half of all new IT jobs holders’.” As Rutgers Professor Hal Salzman poignantly asked, “Average wages in IT today are the same as they were when Bill Clinton was president well over a decade ago…if there is in fact a shortage, why doesn't that reflect in the market? Why don't wages go up?" Submitted by DFrancis on Tue, 06/24/2014 - 22:24. SHELF THE OLD GUARD (RINOS) AND OPEN CONGRESS TO CLEAN, NEW FACES. WANT CHANGES TO AMERICAS FUTURE THEN VOTE FOR NATIONAL TEA PARTY CANDIDATES? We need to rid Washington of the old school incumbents as Thad Cochran and Charles Rangel. We need new visionaries in Congress, who are not going to sell out or to bow down to Special Interests, to corporate cronies or the big trade unions, agriculture playing the same old continuous record of the Republican elite. All you have to do is don’t vote Democrat; don’t vote Republican; when you go to the ballot box make your decision on who will balance the federal and state budgets, Remove the Affordable Care Act. If you want change, then elect Candidates of the National Tea party: removal of illegal aliens; No Amnesty; No Pathway to Citizenship and no drivers licenses; Abolishment of the IRS; introduce a fair or consumption tax, reduction in government itself; Returning the Department of Education, Environmental Protection Agency to State control. Building the Keystone pipeline and making America self-sufficient in Energy and not dependent on foreign oil, gas. Reduce to a minimum of Regulations for growing businesses. Stop the incessant rules and regulation that Americans face every day, by agencies to collect more taxes; Make corporate welfare a thing of the past. Use the Tea Party agenda of Ron Paul, The One Cent Solution is beautifully simple: If the government cuts one cent out of every dollar of its total spending (excluding interest payments) each year for five years, and then caps overall federal spending at 18 percent of national income from then on, we can: Reduce federal spending by $7.5 trillion over 10 years. Balance the budget by 2019. I have just heard that House Democrats Introduced a Bill to Provide Taxpayer-Funded Lawyers to Illegal Alien Kids. It’s heartfelt that these kids turned up to be arrested, but we just cannot safe the world. The Southwest for instance there is a water shortage and a population is exploding, the highways are jammed, infrastructure is falling apart; we have an ailing electrical grid and we cannot feed our own people. Americans have a mission and that is to take down this President and his corrupt administration. If you're one of the hundreds of millions of Americans who see the evidence stacking up against Obama—the acts of treason, damn-near terrorist, tyranny and more. Obama has his sights set on destroying America. We have seen him trample the Constitution and blatantly ignore the law time and again. Now he is at it again with his push to grant amnesty to millions of illegal nationals. He already released more than 36,000 illegal aliens who committed on felonies, awaiting deportation. Everything is at stake here. Submitted by pokey5735 on Tue, 06/24/2014 - 15:17. This administration is so out of control. It needs to be stopped in order to preserve our last bit of sovereignty. Where is Congress? Why aren't they bringing Obama and his minions up on charges. There should be a bipartisan effort to stop this train wreck and restore the rule of law in this country. This whole invasion is an orchestrated effort to overcome and destroy the United States and yet Congress sits there and does nothing.